"River House is a home that invites the sense of endless fun and relaxation! Located in historic Gloucesters Annisquam community. 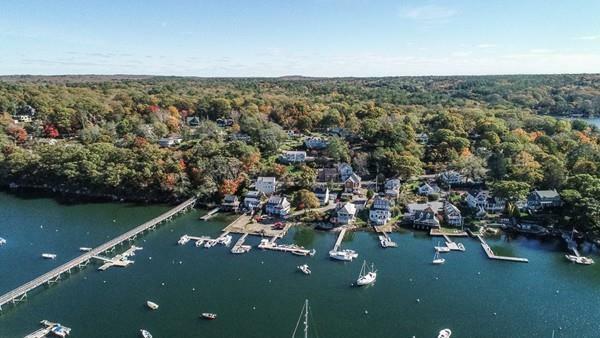 The community fronts on the Annisquam River and the cove. 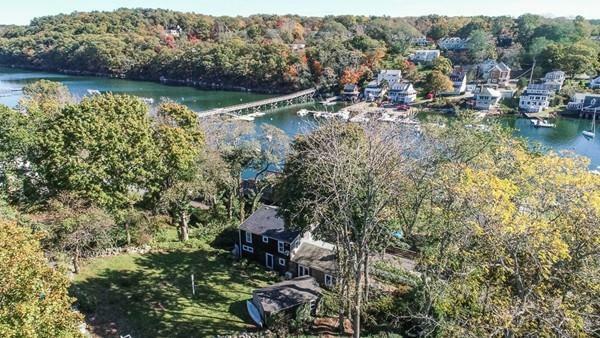 Beautiful water views throughout the house and you can also see the Lobster Cove foot bridge. 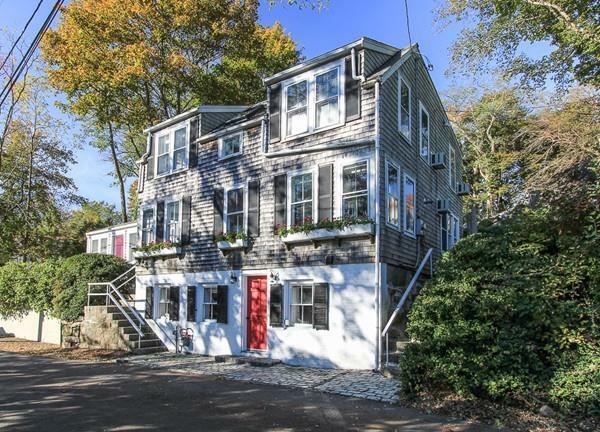 Sunny charming shingle style cottage, with warm wood floors, has 4+ bedrooms and 3 full baths. Ideal for either year round living or an inviting get-away. Enter into a tiled sitting and mudroom. Perfect when coming home from the nearby beaches, boating, hiking or other outdoor activities. Open kitchen, dining and living room with gas fireplace and two sets of glass doors that lead out to the private patio, where you can really enjoy living on the coast. This floor has an ensuite bedroom, additional full bath and an office the looks out toward the water. On the upper level are 4 bedrooms, two connect with pocket doors, and 3rd full bath. Plenty of room for guests if you choose. 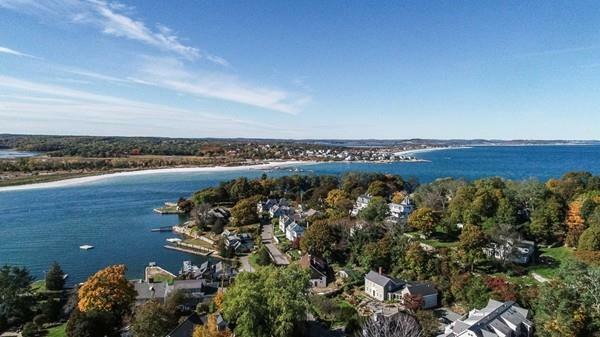 Enjoy living on Cape Ann! Sq Ft Disclosures Includes 364 Sf On The Ground Level.